- To create flexible and adaptable FunCodes applicable in multiple application sectors. - To define FC-scanner enablers that enable easy to use, secure and reliable FC-scanning functionalities. - To create an open platform with a set of tools, enabling technologies and interfaces supporting quick and efficient creation and deployment of FunCodes based applications across multiple sectors. - To support integration of components extending the existing platform and enabling usage of TagItSmart! 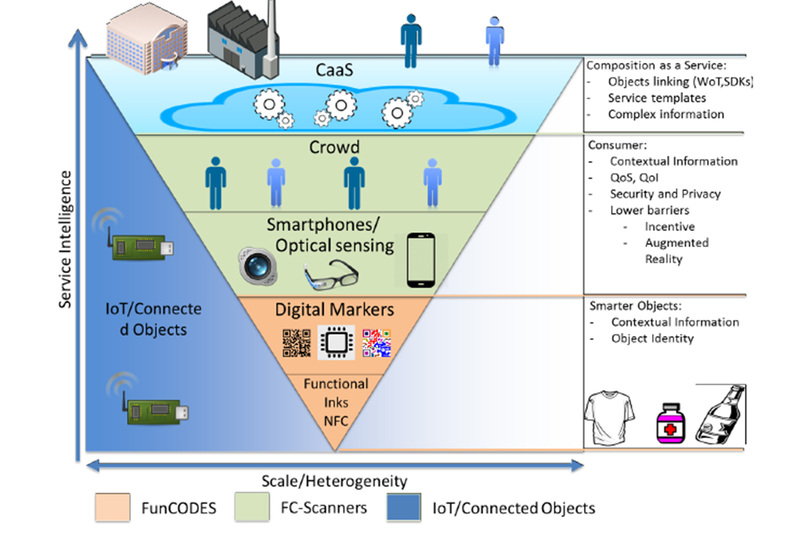 enablers in the ecosystem of platforms for connected smart objects. - To create a TagItSmart! ecosystem comprising all relevant stakeholders to ensure wide take up, sustainable development, expansion and exploitation of TagItSmart! functionalities. - To increasing visibility of TagItSmart! partners and create new exploitation opportunities.